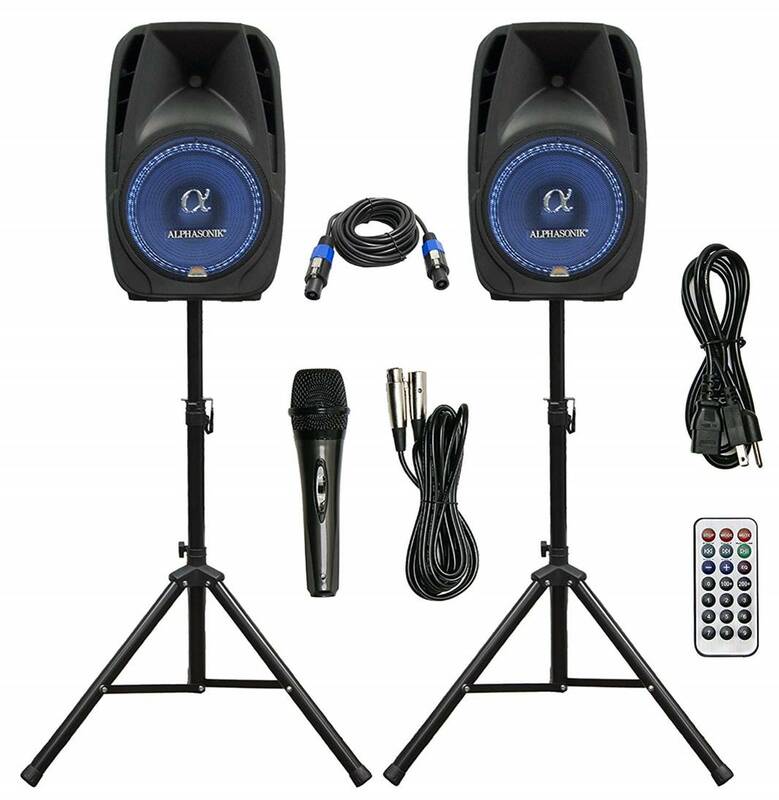 In this review we feature the best DJ speakers for professional DJs to perform in concerts or music bands with easy setup instructions. We are conscious that DJs are looking for speakers with good portability and are easy to setup, so that you can focus on DJ mixing while your guests enjoy superb music performance. Our experts have tested these DJ speakers below to determine which ones provide the best flexibility and value for money. Most of these powered speakers come with built-in amplifiers to reduce your weight-load. Furthermore, some of these DJ speakers come with built-in subwoofers for added bass, so you don’t need to get an extra subwoofer while DJing. If you are looking to get the best DJ speakers for your next concert, be sure to check out our top picks below! 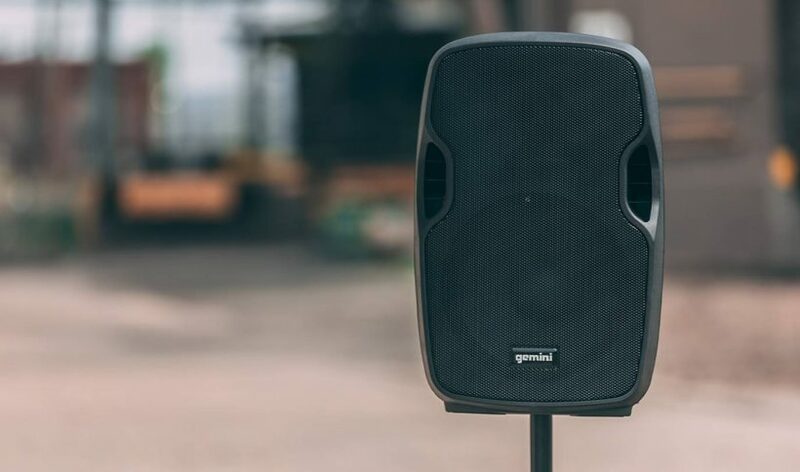 The Pyle 2 Powered Bluetooth PA speakers are some of the best DJ speakers available that provide high quality sound reproduction and deep bass response. The entire system comes with 2 powerful 1500 watts speakers (dual 8” high-powered loudspeaker PA system) with a self-powered 15 inch subwoofer bass that delivers crystal clear sound performance and deep punchy lows. The entire speaker system has enough power to reproduce the entire audio spectrum and has enough volume for large venues. These DJ speakers are compatible with any media and have Bluetooth, RCA and audio playback functionality. They feature chain-linking functionality and use an XLR cable monitor line out port to play mono or stereo music. The XLR input can be used to connect a DJ mixer or use the microphone in port to add an instrument directly. The sound quality from these Pyle speakers is excellent and crystal clear without any distortion at high volume levels. The speakers come with high-frequency 1” tweeters with dual 8” high-powered loudspeakers. It provides 2-way full-range audio projection and has a built-in digital audio amplifier. The speakers are built for durability and feature heavy-duty engineered ABS housing with USB flash drive and SD memory card readers. The speakers are easy to transport from your home to the concert venue and are easily mountable on speaker stands. 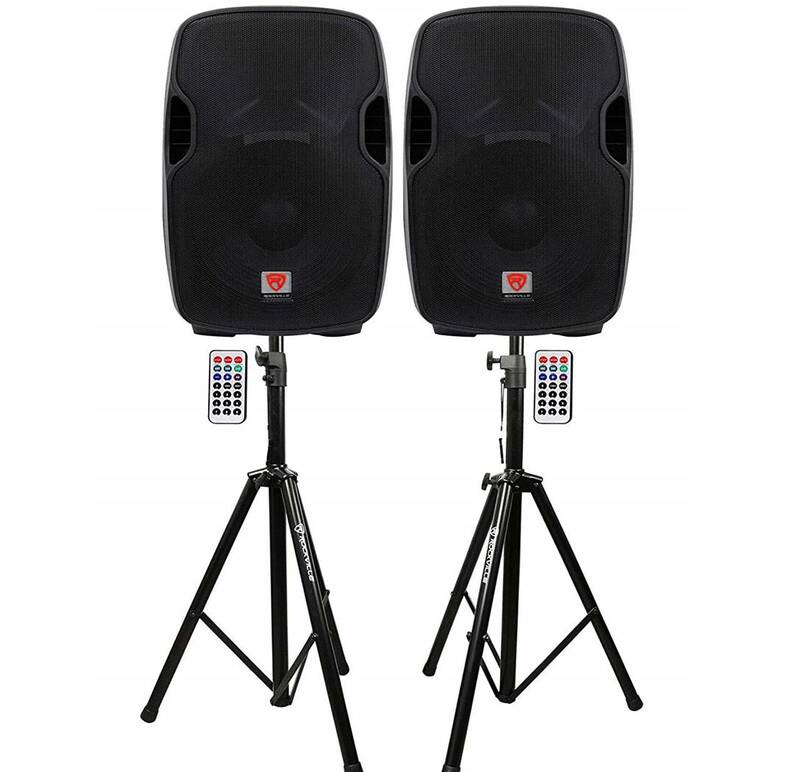 The Costway Dual 12” speakers are some of the best DJ speakers that provide great value for money. It comes as an active 2-way full-range speaker set with a 12” woofer for deep bass reproduction. 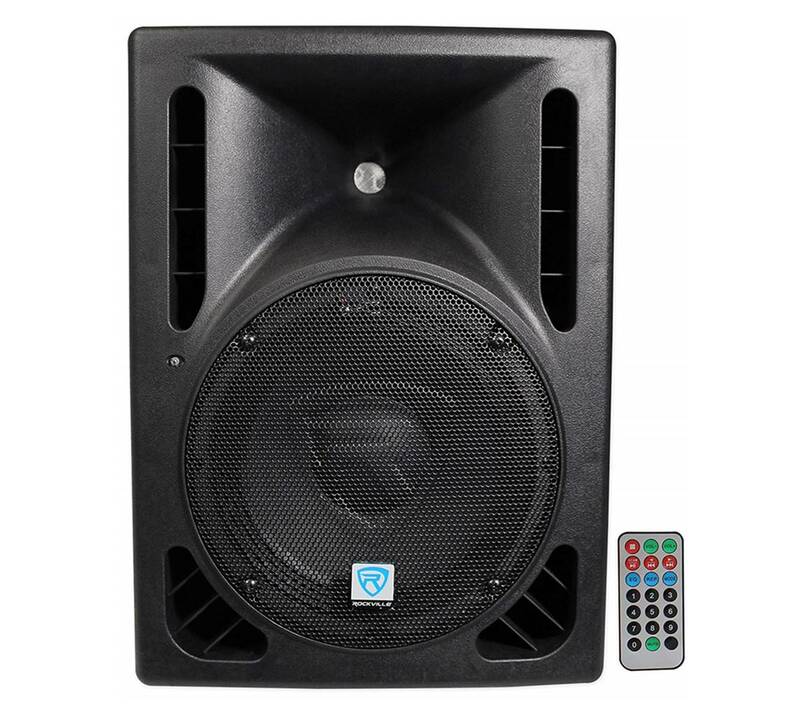 This DJ speaker system includes a master active speaker that features a built-in amplifier, and a second passive 12” speaker powered from the master speaker. The speakers have a sensitivity of 96dB and output RMS of 250 watts with a peak power of 2000Ws. The sound quality from the Costway speakers is really good, with crystal clear highs, nice midranges and very punchy bass. They are great for DJ mixing and concert performances, and provide deep bass tones which feel impactful to listen to. This speaker set features Bluetooth integration, USB input, SD card input and preset digital graphic equalizer settings. The woofers have a 40 oz magnet and high power aluminium voice coils while the tweeters feature 25mm Piezo crystal compression horns for crisp highs. 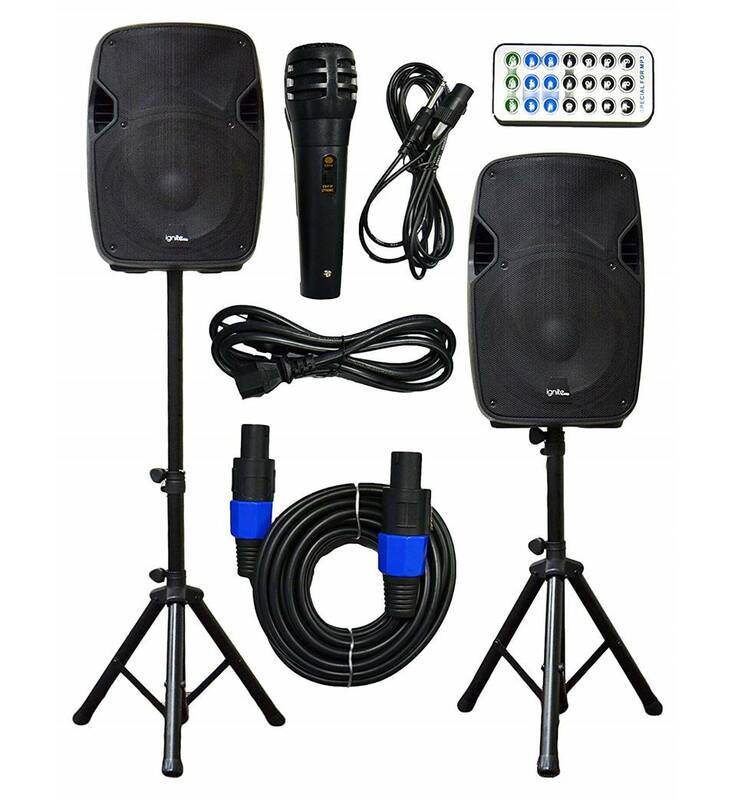 The entire package includes an active speaker, passive speaker, 2 speaker stands and microphone with microphone cord and wireless remote control. We also liked the fact that it comes with speaker cable and power cords for easy connectivity. The Rockville RPG10BTs are some of the best DJ speakers we have tested with 600 watt active power and built-in Bluetooth. The speakers have a max power rating of 600 watts and 150 watts RMS. The RPG10BTs come equipped with high-power long-throw 10” woofers with 2” aluminium voice coil which provides incredibly deep bass and acoustic power. The speakers have a frequency response of 45 Hz to 20 kHz and a maximum SPL of 122 dB peak power. We liked the fact that the Rockville RPG10BTs support Bluetooth signal input which allows you to input any audio signal from your Bluetooth enabled music player or phone. It also supports USB and SD digital inputs. The wireless remote control that comes with the speaker makes it very convenient to adjust the settings. On the whole, this is a high-powered 2-way sound reinforcement speaker for live sound and playback applications. The Rockville RPG10BTs are compact and lightweight and provides distortion free sound even at extreme volume levels. It has linear class AB amplifier technology with high-power, transparent sonic performance. It also comes with an internal switch-mode power supply for low distortion audio with superior transient response. Finally, these DJ speakers come with built-in bass and treble equalization processor for system control and speaker projection. It has a 1.35” Japanese made titanium-diaphragm compression driver for crystal clear sound reproduction. The speaker is built for ultra-wide dispersion with 40 degree large-format horizontal wave guide molded directly into the cabinet. It also supports microphone input lines via XLR or TRS stereo jacks with volume control. The Rockville BPA15 is one of the best DJ speakers we have tested that can pump out up to 800 watts of power with built-in Bluetooth. The speaker comes with a high-powered long-throw 15” woofer with a 2.5” KSV voice coil which provides deep bass response and acoustic power. The speaker has a wide frequency response between 20 Hz to 20 kHz and maximum SPL of 128 dB peak with Bluetooth signal input. We liked the fact that the BPA15 speakers have built-in USB input and SD inputs for audio playback. The Bluetooth integration is intuitive to use and reliable, with no static interference while streaming music from your Bluetooth device – the wireless range is around 32 feet for this speaker. The BPA15 speakers also come with a Bluetooth chipset which provides digital signal audio processing for high quality sound performance. The BPA15 DJ speaker comes with a built-in 2-band equalizer to adjust high and low frequencies independently. It also has a nice LCD screen which displays mp3 functions and wireless connectivity. The speakers feature linear class AB amplifier technology which provides transparent sonic performance and a 1” pure titanium-diaphragm compression driver for crystal clear high-frequency reproduction. This DJ speaker supports RCA and XLR inputs, with a ¼” TRS balanced line output and an additional XLR line output for microphone connection. The entire speaker is stand mountable with a 35mm pole socket. 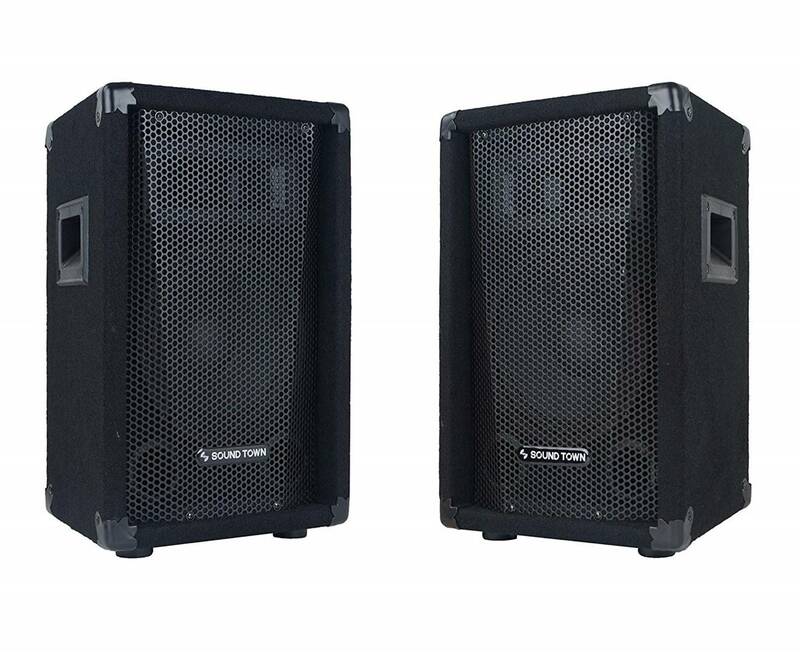 The Alpasonik 8” powered speakers are some of the best DJ speakers that delivers up to 800 watts of max power and vibrant concert sound performance. These speakers come as a complete DJ party speaker system straight out of the box. The entire system comes with a passive speaker, active speaker and tripod stands to mount the speakers. It also comes with an included high-quality microphone and an STC cable to connect to both speakers. These DJ speakers are highly versatile and have built-in Bluetooth, USB, auxiliary, RCA, XLR, FM radio inputs and other features. It is also compatible with USB and SD memory cards for media file storage. The tracks are shown on the speaker’s built-in digital display and music playback can be controlled using the on-board control buttons. You can also fine tune the speaker system using the dual band equalizer and tune the sound according to your preferences. The sound performance on the Alpasonik speakers is very good, with crystal clear highs and vocals. DJ remixes sounded very tight and punchy on these speakers, and they make disco performances sound very enjoyable to listen to. We also liked the fact that these speakers have dual acoustic ports for optimal bass reproduction and an enclosure design with a handle that allows for easy portability. The Ignite Pro speaker set are some of the best DJ speakers you can find that pack a clean punch with crystal clear volume levels. It consists of a 10” active and passive DJ speaker, with tripods and a wired microphone for performances. The set includes a 10” 2-way active speaker and 10” 2-way passive speaker that provides crisp and clear sound across all volume levels without any distortion. These DJ speakers come with built-in USB and SD card slot for mp3 audio playback, with FM radio transmitter for FM radio playback. It also has Bluetooth connectivity for Bluetooth playback with a built-in USB/SD card slot for mp3 audio performance. The other option options that these speakers support are ¼” microphone inputs, RCA input and XLR microphone inputs. 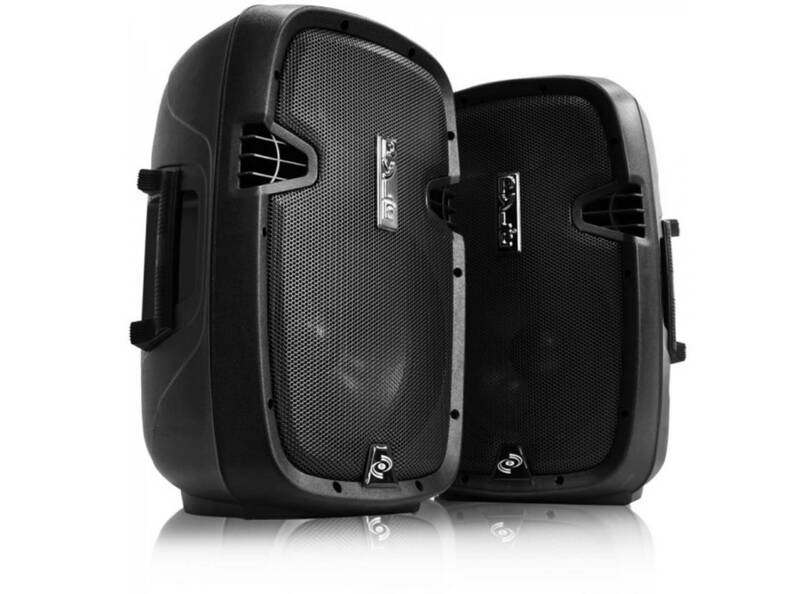 The Ignite Pro DJ speakers have a 1500 watts peak power handling and 100 watts RMS power each. The wireless Bluetooth range works great up to 75 feet without any issues. The Bose S1 are some of the best DJ speakers built for high-performance audio reproduction and earth-shattering sound. The Bose S1 delivers high performance audio with a portable design, making it easy to carry around to concerts or parties. The speaker supports wireless Bluetooth pairing and inputs for a microphone or music instrument such as a keyboard or guitar. It also comes with built-in ToneMatch technology which helps microphones and guitars sound natural, while the audo-EQ adjusts the system tone automatically for detailed sound positioning. The Bose S1 speakers come with built-in sensors and multiple aiming positions for optimal sound in any position, so you can place these speakers anywhere in a DJ concert party and maintain the same sound quality. We also liked the fact that the S1 speakers come with a built-in 11 hours rechargeable lithium-ion battery. It also has auto-EQ functionality which adjusts the system’s tone in any qualified placement position so your music sounds good. 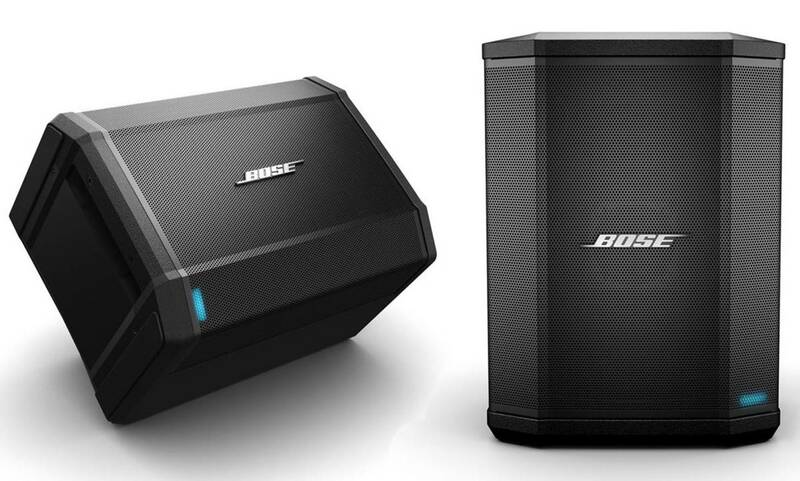 The Bose S1 DJ speaker supports a wireless range up to 30 feet with TRS line output. 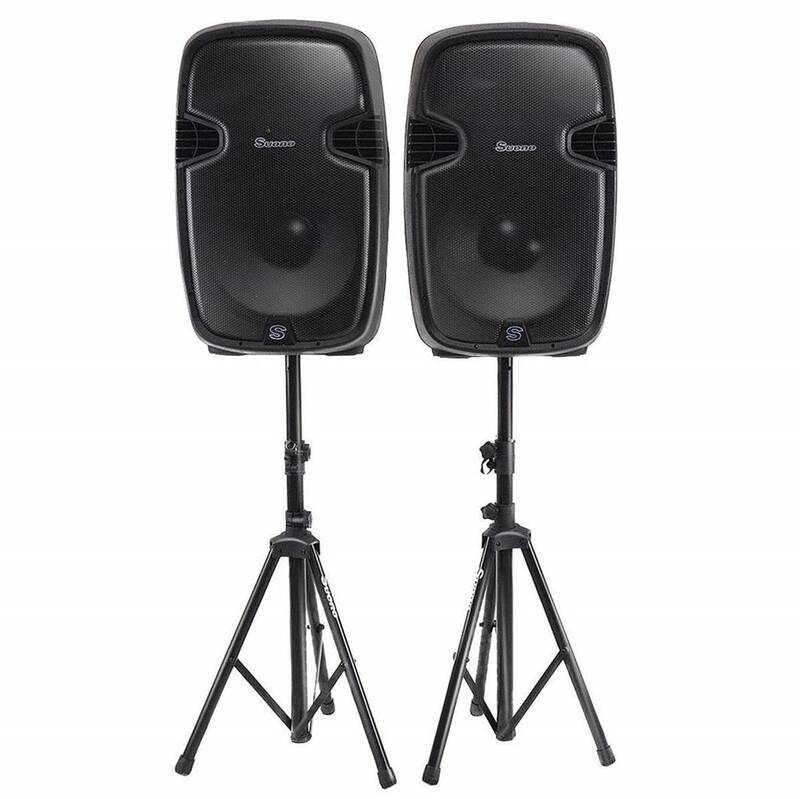 The Sound Town CALLISTO are among the best DJ speakers that provide full-range sound performance for DJ performances and events. The entire speaker set includes 12” full-range passive DJ/PA speakers which comes with 200W RMS /400W peak (8-ohm( power handling capability, with one 12” woofer and one piezo high-frequency driver for low bass and crisp highs. We liked the fact that the CALLISTO DJ speakers have a wide frequency range from 45 Hz to 20 kHz with 100 x 45 degree coverage to ensure that your audience can be immersed in sound with consistent volume control. 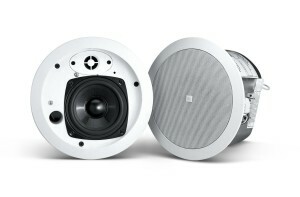 Each speaker comes with two ¼” inputs for daisy chaining with one socket on the bottom for pole mounting. These DJ speakers come with angled sides which allow the speaker to be positioned as a stage monitor. The speaker can be pole mounted or stacked on a subwoofer as a main speaker, or laid on its side as a stage monitor. It has a rugged black carpeted covering, with a heavy-duty grille and metal corners which make it durable. The entire speaker set can be easily transported with two recessed handles on the side which makes them easy for DJ setups. 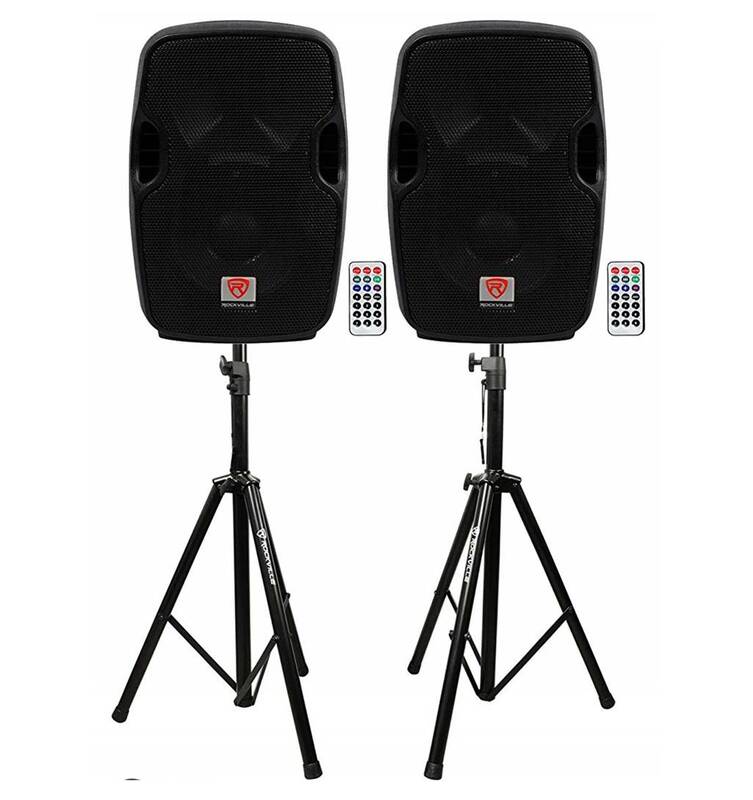 The Rockville BPA 8” speaker is one of the best DJ speakers built for professional DJs. The entire speaker comes with built-in Bluetooth and has a power rating of 300 watts peak with 75 watts RMS. The speaker comes with an 8” high-power long-throw woofer with 1.5” KSV voice coil which provides deep bass and acoustic power. The Rockville speaker has a frequency response of 20 Hz to 20 kHz and maximum SPL of 95dB peak power. We liked the fact that you can stream audio signal from your Bluetooth enabled music device or phone with a range of 32 feet. The Rockville speaker supports USB and SD digital input specials; it also comes with a wireless control which allows you to adjust the mp3 player functions and volume at your convenience. The speaker comes with an LCD screen which displays the mp3 functions including the Bluetooth connectivity. The speaker has a built-in 2 band equalizer to adjust the high and low frequencies independently. Design-wise, the Rockville BPA 8” speaker has a compact and lightweight design that delivers distortion-free sound at extreme volume levels. It has a linear class AB amplifier with transparent sonic performance. The speaker features a 1” pure titanium-diaphragm compression driver for crystal clear high-frequency reproduction. It is also stand mountable with a 35-mm pole socket. The JBL EON610 is one of the best DJ speakers built for audio reinforcement and loud audio dispersion. It is essentially a 10” two-way multi-purpose self-powered sound reinforcement speaker designed to provide crystal clear sound with JBL waveguide technology. The speaker comes with a 10” woofer with bass reflex cabinet for crisp highs and detailed lows, while providing Bluetooth integration for wireless music streaming. The speaker comes with a 1000W peak Class D amplifier and supports multiple setup configurations. It has a 5-way user definable parametric EQ which adjusts the sound according to your preferences. It also comes with two handles for easy transport which makes it ideal for DJ concerts and performances. It also features dual combination XLR ¼” inputs for microphones and DJ mixers. In terms of sound quality, the JBL EON610 delivers very crisp and enjoyable sound performance with plenty of volume output and smooth highs and midranges. The bass hits hard and punches deep without any distortion. We also liked the fact that this speaker has an iOS and Android supported Bluetooth 4.0 interface for controlling the master volume and adjusting the 5-way EQ presets for quality sound performance. 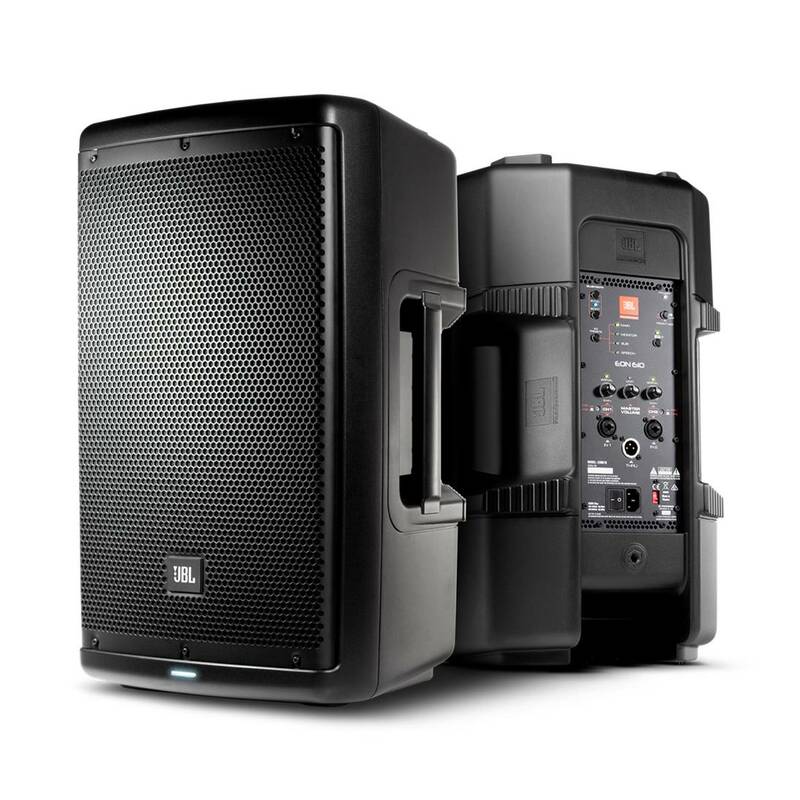 If you are looking for one of the best DJ speakers to reinforce your concert audio with immersive sound, the JBL EON610 comes highly recommended.